Hi ya-all. 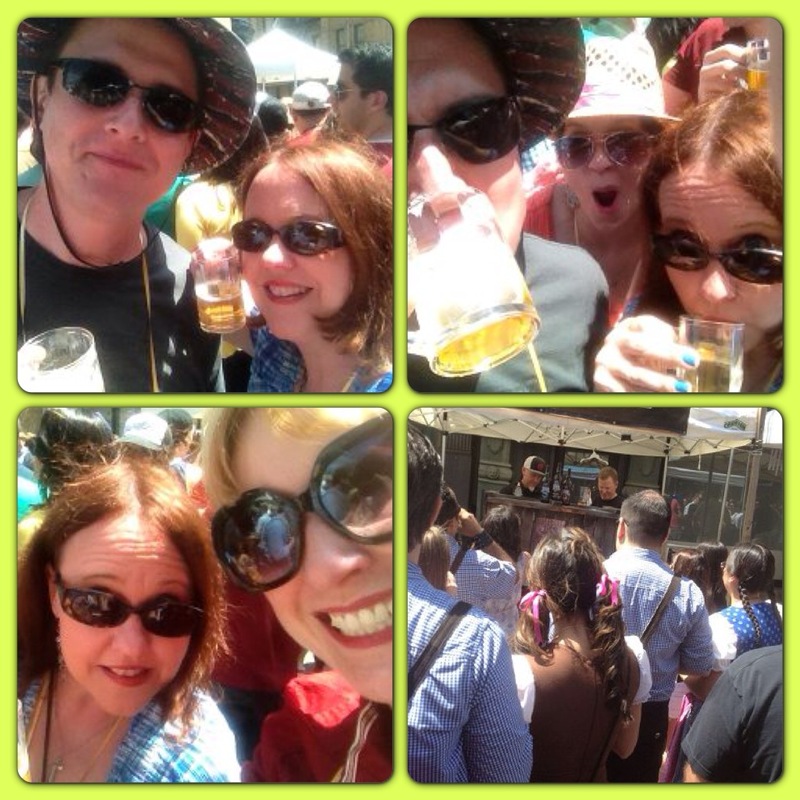 This past weekend I was able to cash in on one of my birthday presents, a ticket to LA’s Beerfest from the lovely Cathy and Bryan (better known by blog readers as Gavin and Griffin’s folks). I asked someone with much more experience and love of beer to write-up a blog post on the event. It isn’t that I don’t like beer but Bryan and Cathy have a keg with custom tap in their kitchen so they bring their beer love to another level! Cathy told me pics are fun and wanted lots included in her post so without further adieu enjoy today’s guest blog with lots of pictures! April 6th…. I like to liken it to December 24th. Its an Eve. A special Eve. Its National Beer Day eve. National Beer Day is April 7th. On April 7, 1933 President Roosevelt over turned prohibition and made it legal to make and sell beer as long as it was below 4.5 percent. Unrelated side note: April 7th many many years after that my older brother was born on that very day. He however doesn’t like Beer at all. Which makes me question our actual blood relation. But I digress. 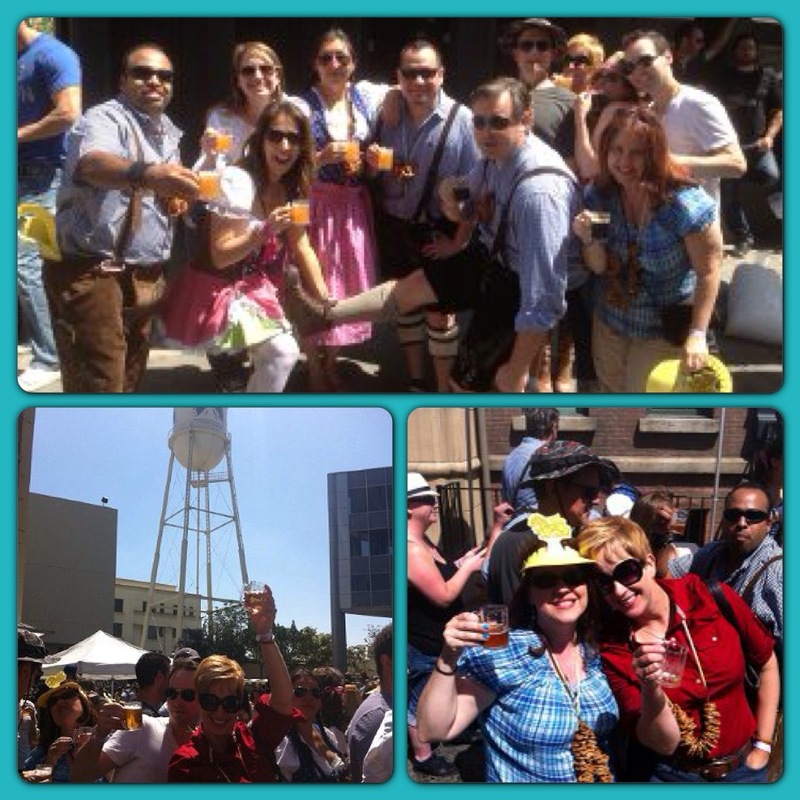 In an effort to celebrate Beer Day eve, a group of friends and I (11 total) embarked on BEERFEST LA. 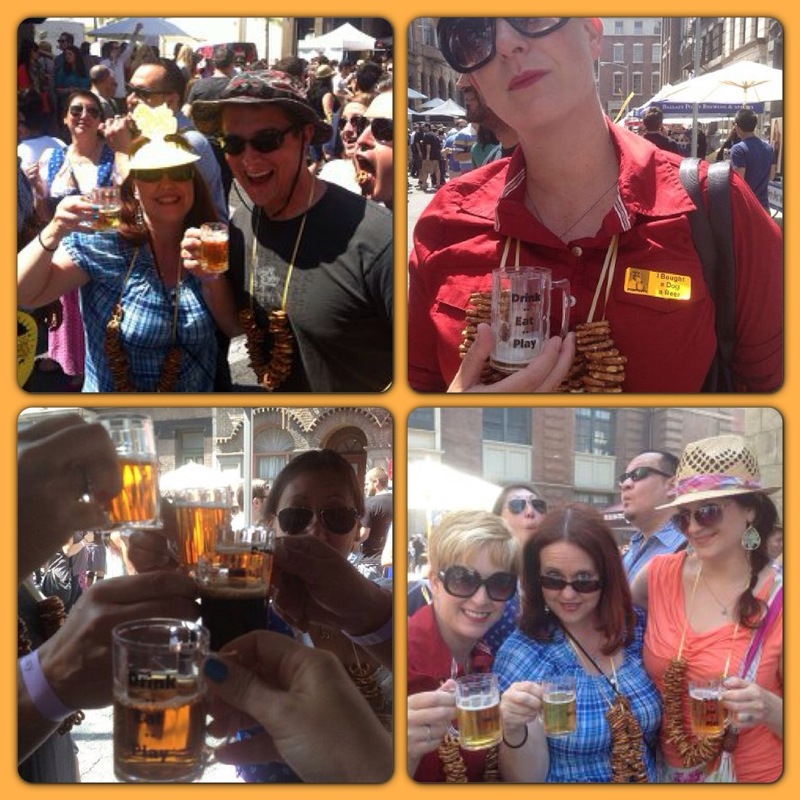 An event that for $40 you have 3 hours to sample all the beer you can! 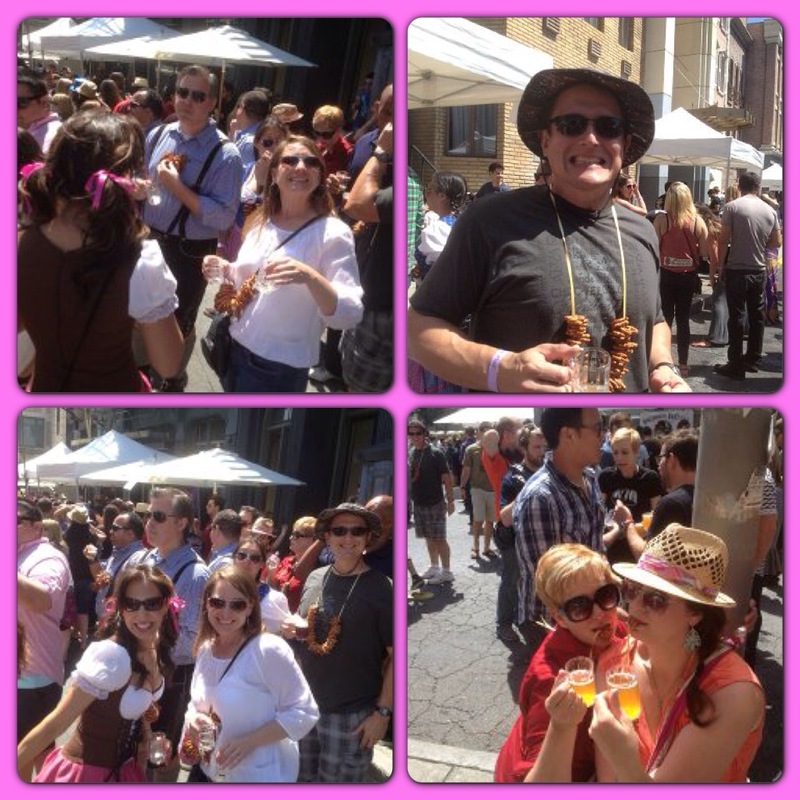 This is A beer event put on by the Drink.Eat.Play https://www.facebook.com/pages/Drink-Eat-Play/186763821339819 The party people who also have brought to Southern California the Bacon Festival, 80s Prom, and Cupcake Challenge. 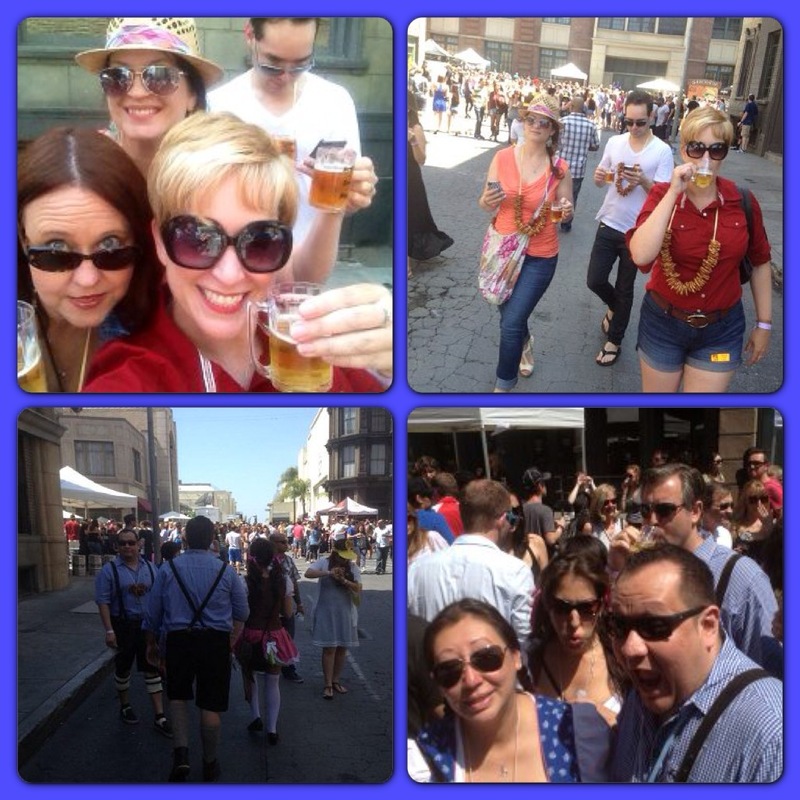 My husband Bryan and I took Wendy (owner of this blog) for her birthday, met up with Tricia and John (Tricia went with us last year which makes her a Beerfester) and 6 of our friends (Beerfesters) who were dressed in official Oktoberfest attire. They all went to Munich a few years back and who doesn’t buy Lederhosen when in Munich. DUH. They were very popular. Folks stopped to take pictures with them all through the day. I was kinda jealous. Next year weather permitting I may dress as a giant beer mug. 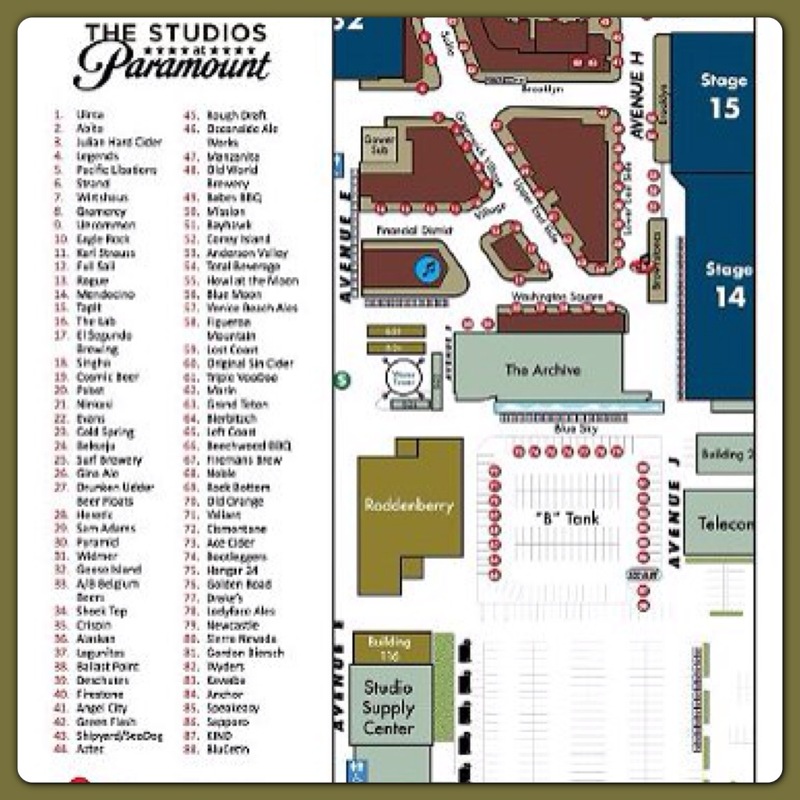 The Festival is Annual and takes place on the Paramount Studios lot. 88 breweries set up booths to show off their best, their newest, their yummiest beers. This was year two for Bryan and I so we were prepared. Wearing our pretzel necklaces we took UBER CAR (new car service in LA much like a taxi) to the studio at 11:00am for we were giddy with anticipation for the flood gates of beer to open at noon. The pre staging is very smart. There must have been 20 food trucks there for folks to line their stomachs sos there was less “mess” to clean up for the staff after. Smart.. Drink Eat Play! Drink Eat Play is actually VERY smart. At first you think there are WAY the hell too many people there. But it’s a good thing. You go from booth to booth with your 4oz mug and get samples. Then you have to stand in line for the next. Think of it as self pacing. Without the waiting I think bad things would happen. How many of us have sat in a wine room in Solvang drinking pour after pour of wine. They are such tiny tastes what could possibly go wrong. Well for those of us who have ended up face down or worse, at said wine bar, know…those tiny pours are deceiving. So waiting in lines is well it’s a good thing. My group hit about 35 booths. Which if you do the math, take out a few we tossed, that’s about 8 beers in 3 hours. Could we have done better? Sure. But take into account there were 11 of us making our way through the crowds, dancing at the DJS and live cover bands, getting their pics taken with beer strangers and stopping at the ample amount of port a potties. I think all in all we did well. The overall vibe of Beerfest is so nice. Everyone is happy. Everyone loves beer. Folks are sharing, talking, laughing. No one cares if you are in line and 10 of your friends join you 3 minutes later. Its just a fun place. I would highly recommend it to any beer fans. Tickets usually go on sale in February, and for sure sell out. So buy you tickets on line (there are two Beerfest “shifts” you can go 12-3 or 3-6 just click on the time you want while buying, we always do 12-3). At the end of the 3 hours it was nice to see that Paramount is conveniently located next door to Astro Burger. GENIUS! After a burger and some fries, a taxi was called and we were headed home. So if you are looking for scoop on the best Belgium or IPA in LA move along son, nothing to read here. But there were a TON to try. I am also prefacing this part of the blog with ,…it kinda got fuzzy after the first 10. Not drunk fuzzy, just even with pretzels unless it totally sucked or was totally amazing I can’t say for sure…so here you go. My best post beerfest guesses..from what I remember. Sapporo is a sushi beer and we all know it. Good clean, non descript but Im putting them in my top 10 cause they gave out sake shots to make Sake Bombs. Winners! That’s all I can really recall. I know there were more beers I liked, but sadly some I would walk away thinking I should remember that and did not. Next year I will take pics with my phone of the Tap handles with a Thumbs up so I remember! This was a lil poem I penned while prepping for Beerfest, and by prepping I mean having a beer…. Hoping its not hot or well surely want to nap. I mean does it matter? Do we run to Blue Moon or Firestone? After 3 hours I’m sure we’ll be sad for beer day to end. 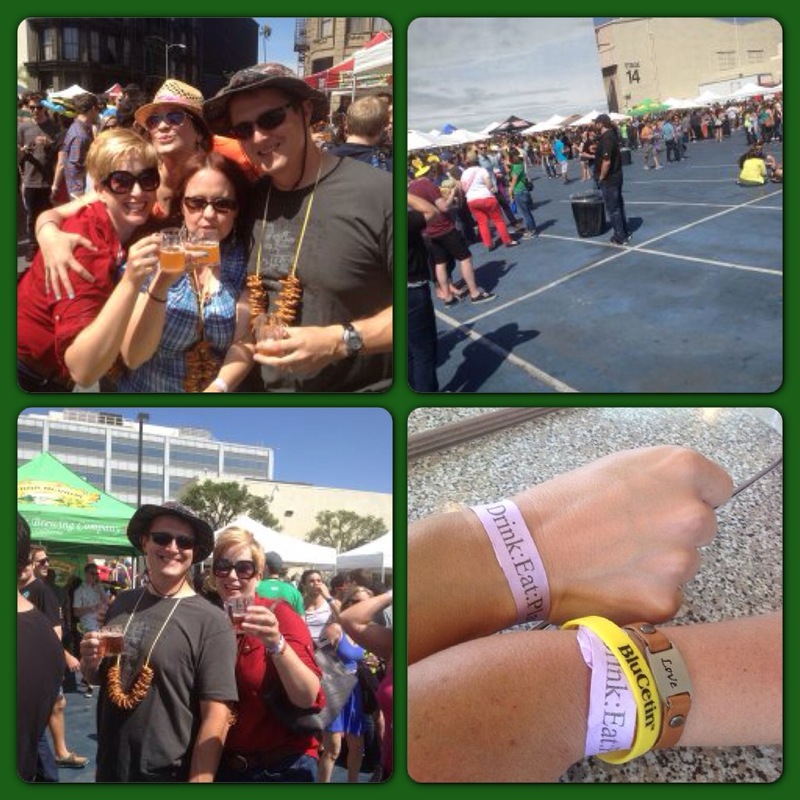 See you all at the Beerfest next year! PROST! Thanks Cathy! I knew you were the woman for the job! Wendy, you did pick the right gal to write this story. You choose your favorite beer by the doggie on the bottle cap! Cathy the beer poet — knows her stuff!